In celebration of NASA’s 60th anniversary, Fathom Events is bringing the new Discovery Channel documentary “Above and Beyond: NASA’s Journey to Tomorrow” to movie theaters nationwide with two special cinematic screenings onSeptember 29 and October 3. Directed, produced and narrated by Academy Award®-nominated and Emmy®-winning Rory Kennedy (“Last Days of Vietnam”), the in-cinema events will include a special introduction from Kennedy followed by a screening of the documentary. Tickets for “Above and Beyond: NASA’s Journey to Tomorrow” can be purchased beginning Friday, August 3 at www.FathomEvents.com and participating theater box offices. Fathom Events and Discovery Channel present “Above and Beyond: NASA’s Journey to Tomorrow” on Saturday, September 29 at 12:55 p.m. and Wednesday, October 3 at 7:00 p.m. (all local times) in more than 650 select movie theaters, through Fathom’s Digital Broadcast Network (DBN). A complete list of theater locations will be available August 3 on the Fathom Events website (theaters and participants are subject to change). Following the Fathom screenings, the documentary will also air on October 13, 2018 on the Discovery Channel. “Above and Beyond: NASA’s Journey to Tomorrow” shines a spotlight on NASA’s historic accomplishments in space, from the moon landing to Mars exploration to journeys to the outer edges of the solar system and beyond. More than a moving portrait of NASA’s many accomplishments in space, “Above and Beyond” also sheds light on the agency’s lesser-known area of focus and the vital role NASA has played in measuring the health of our home planet. However, as far as NASA may travel, its gaze has always returned to Earth, monitoring our seas and skies, our ice and sands in an ongoing struggle to meet today’s great challenge: protecting our planet. 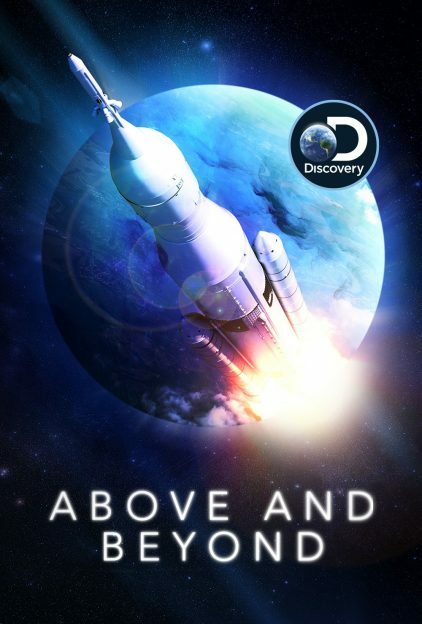 “We are thrilled to partner with Discovery Channel to bring ‘Above and Beyond: NASA’s Journey to Tomorrow’ to movie theaters nationwide,” said Ray Nutt, CEO of Fathom Events. “There are few events as cinematic as space travel, and the incredible stories of the men and women of NASA depicted in this remarkable documentary are well-deserving of the big screen treatment.